The volunteer will support the process of conducting a Social Exclusion and Gender Analysis (SEGA) for the project, related to reproductive health and family planning; specifically around ensuring the project approach is adapted to reach the and meet the needs of the most marginalized for example the poorest of the poor, people with disabilities, young women; and engaging men and boys in family planning. 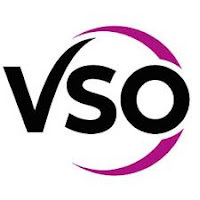 The volunteer will be responsible for embedding (mainstreaming) inclusion and gender in the project and proactively provide technical support, coaching and capacity building to VSO staff, volunteers and project partners. If you are passionate about making a positive change to gender equality and leaving no social groups behind, you are the ideal candidate! NOTE:This is national Volunteer role, not eligible for Eligible for International Applicants.